This is located in the province of Malleco, northwest of Temuco, 63 Km from Victoria and 49 km from Curacautín. You can also get there on public transport from Victoria to San Gregorio – the bus leaves on Mondays to Fridays, in the morning and returns in the evening. It lets you off19 km from the entrance. The park has 6 374 hectares of land. The most striking sectors of the park are the Malleco Lagoon, el Salto del Río Malleco, Green Lagoon, the Snake’s Waterfall, Yellow Hill and Colomahuida Hill. The vegetation includes the following species: monkey puzzle trees, tepa, olivillo, bay trees, raulí and coigüe. The park’s fauna consists of the pudú, grey and culpeo foxes, grisons, and skunks, coypus, wood pigeons, parrots, large woodpeckers, chucao and the condor. You can see the Volcano Tolhuaca, 2806 metres above sea level, from the edge of the park, as well as Tolhuaca Hot Springs which offers accommodation, thermal baths and food to its visitors. The climate is temperate, cold and damp, the average temperature being 14º C, with frequent heavy rainfall. 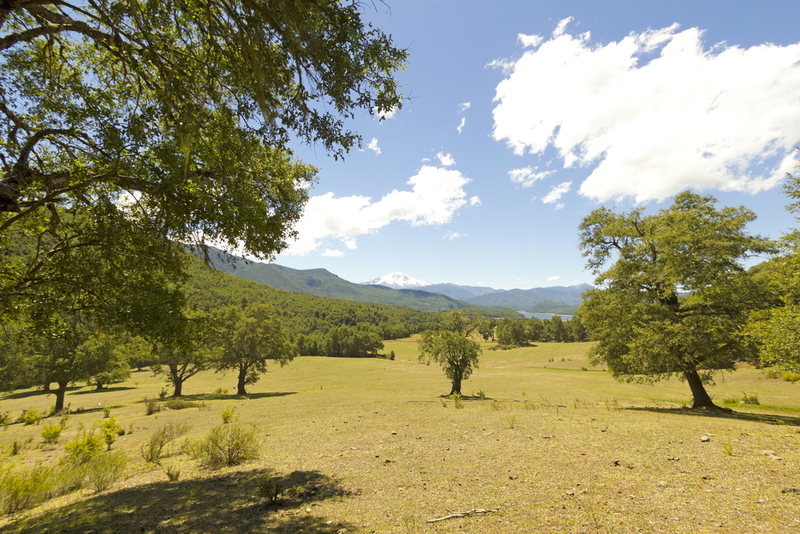 There are walking trails in these areas: los Prados de Mesacura, Lagunillas, Green Lagoon and el Salto. The park’s campsite, called Inalafquén, is at the Malleco Lagoon, and has 25 spaces, cold water, toilets with showers.